Thanks to Asferico, AFNI the organizer of the festival Asferico 2015 and all people involved for a memorable weekend. My salute to all my fellow "colleagues" which I met and a big applause for all the other winners and the images and shows being presented. 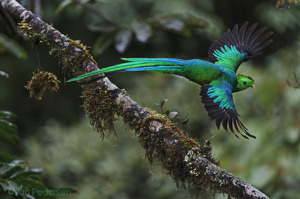 I am still a bit shaky and overwhelmed being the overall winner, of 2015 with my Bird category winning image of a resplendent quetzal from Costa Rica.